Kimono kaftans, traditionally Japanese garments, are now available in modern designs, and stylish cuts for making a style statement. Ladies visiting the beach love to carry kimono kaftan with them and slip them on over their bikini after taking a dip in the water. 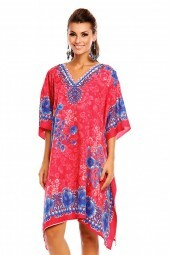 At The Fashion Warehouse, we are leading dealers of kimono kaftans wholesale in the UK. 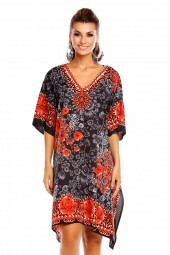 Our collection of kimono kaftans has a hint of retro look to them and can make anyone look great. They are made from light but durable fabric to ensure utmost comfort while wearing the sheer dress. Discover the best collection of kaftans at our store now.